I had some leftover standing rib roast after Christmas, so I thought to myself: Po'Boy! Now, obviously, I can't get the same bread as they use in NOLA, so I had to improvise. 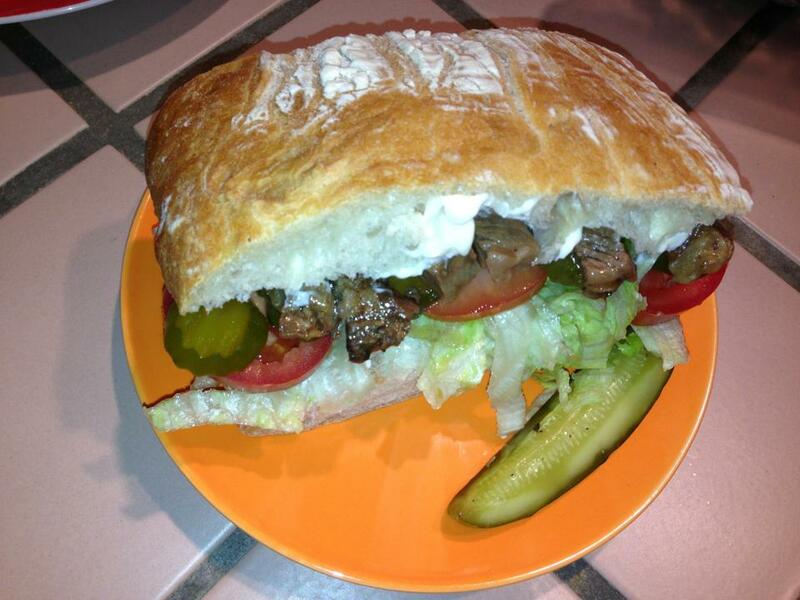 I got a huge Ciabatta roll from Boudins in the Village at Corte Madera. I made one huge sandwich and cut into manageable sections. Cut the roll in half, lengthwise. Smear a ton of mayo on both sides...probably a cup altogether, but whatever you desire. On the bottom slice of bread layer the lettuce, tomatoes, pickles & roast beef. Ladle copious amounts of gravy on top, top it off with the other slice of bread. Cut in half; serve with Crystal Hot Sauce and tons and tons and tons of napkins!!! Pour a couple tablespoons of the green sauce in the bottom of a glass pan. Put a few scoops of the chicken and cheese on top of each tortilla. Roll up and place into pan. Cover with the rest of the sauce and the olives. Cover with foil, back at 350 for 20 minutes. Remove the foil and cook for 15 more minutes. Garnish with sour cream, avocado, & hot sauce. Super easy; takes less than 10 minutes to assemble. Enjoy! I grew up in So. California where Mexican food was very dominant. 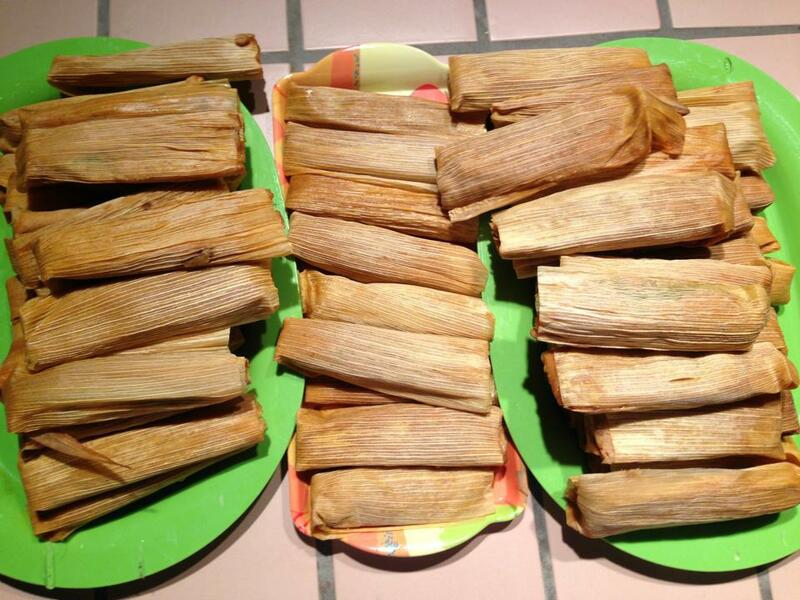 I noticed that all my friends moms were making *tamales at Christmas time. I could only hope to score one or a dozen! Four years ago I got tired of dreaming about these homemade delectable treats and decided to do something about it. I found a recipe online with detailed instructions and got busy. Its like a 3 day ordeal! Its very labor intensive, but oh so worth it! I have 6 dozen tamales in my freezer for those cold winter nights when all I want to do is bust out a few and pop them in the microwave!